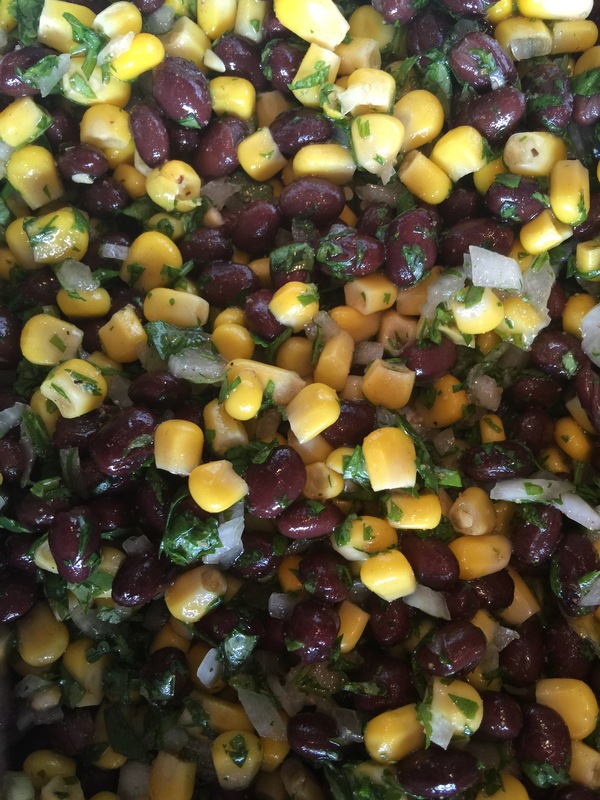 For my inaugural post I thought I would share my much loved recipe for southwestern corn and black bean dip or side dish. Without fail, every time I make this dish people cannot get enough of it, and they specifically ask for me to bring it to events (work parties, dinner parties, etc…). It appears very humble on the surface, but, trust me, it is anything but. 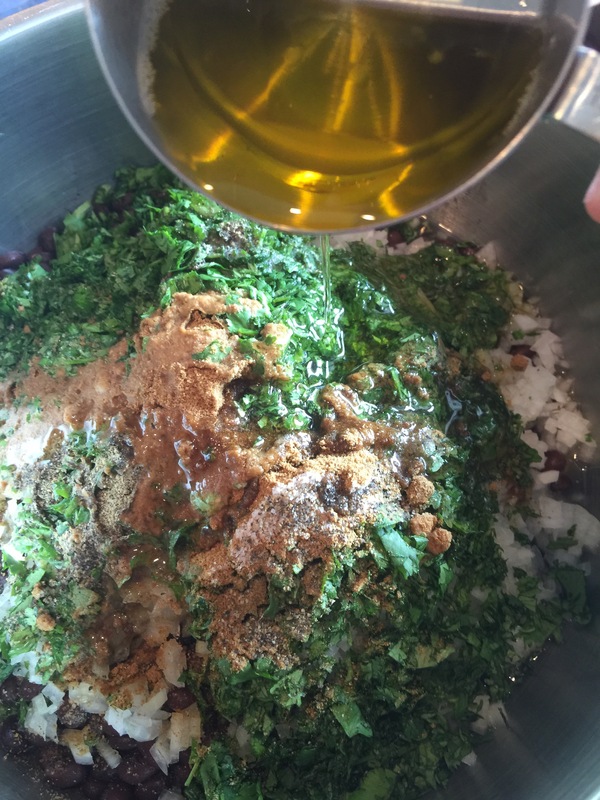 It’s a burst of flavor, from the tartness of the lemon, the herbiness of the cilantro and the earthiness of the cumin. It is perfect as a dip with tortilla chips or as a nice cool summery side dish to an entree. It is a superb picnic dish since it is just as good at room temperature as it is chilled, and there are no food temperature concerns. Although you could eat it right after you prepare it, it is even better chilled for a few hours (or days). Large mixing bowl, measuring spoons, measuring cups, knife, cutting board, long handled spoon, and a salad spinner (or towels or paper towels). 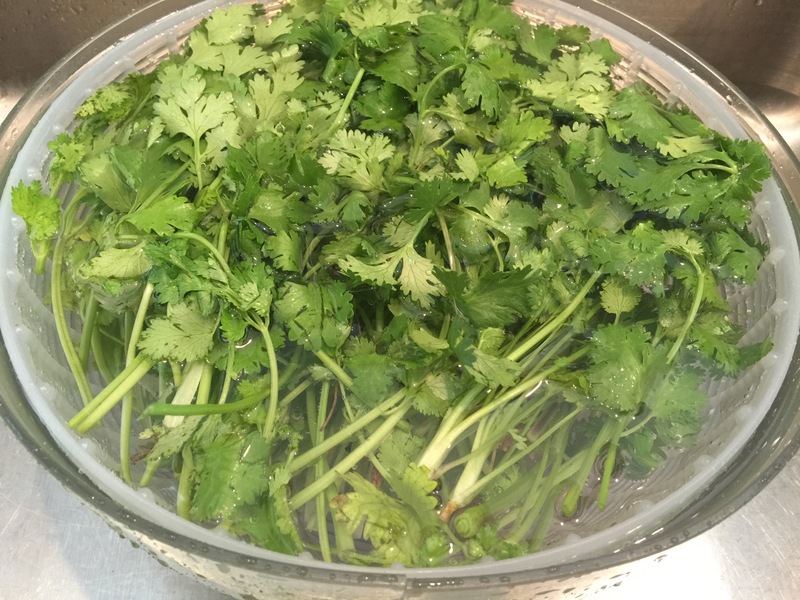 Place the cilantro into a large bowl of water so that it can soak and any debri can sink to the bottom. Swish the cilantro around in the water a bit to wash it (remember it grew in dirt). I use large salad spinner for this step so that I can use it to dry the cilantro later on (a very important step for any greens or herbs). 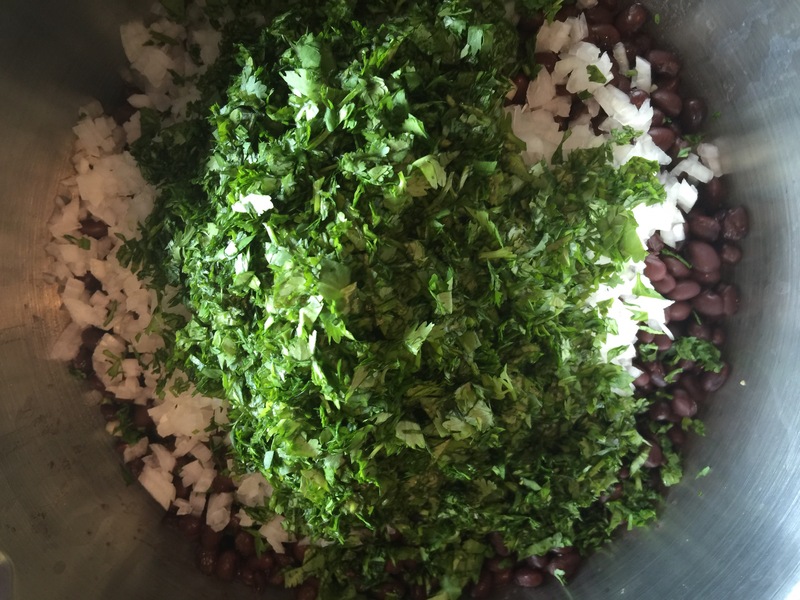 If you don’t have a salad spinner, place the washed cilantro on a towel or paper towels to dry as you continue making the dip. Open the cans of corn. 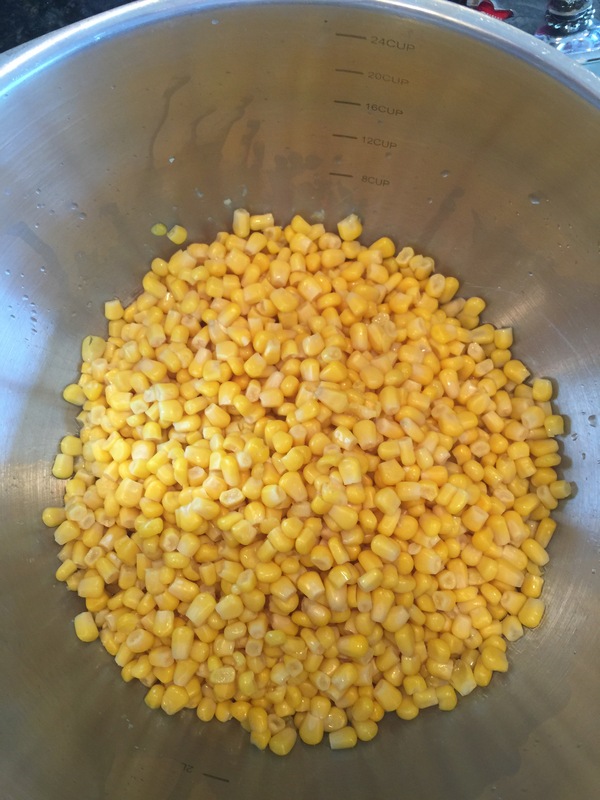 Pour one can of corn and its liquid into a large mixing bowl. Drain the remaining three cans of corn and add to the mixing bowl. 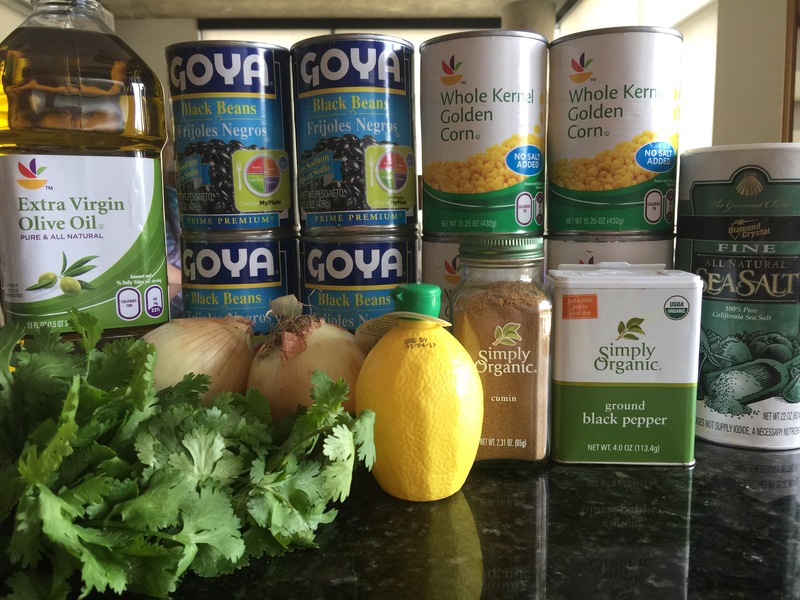 Open the four cans of black beans. Pour one can of beans and its liquid on top of the corn in the mixing bowl. 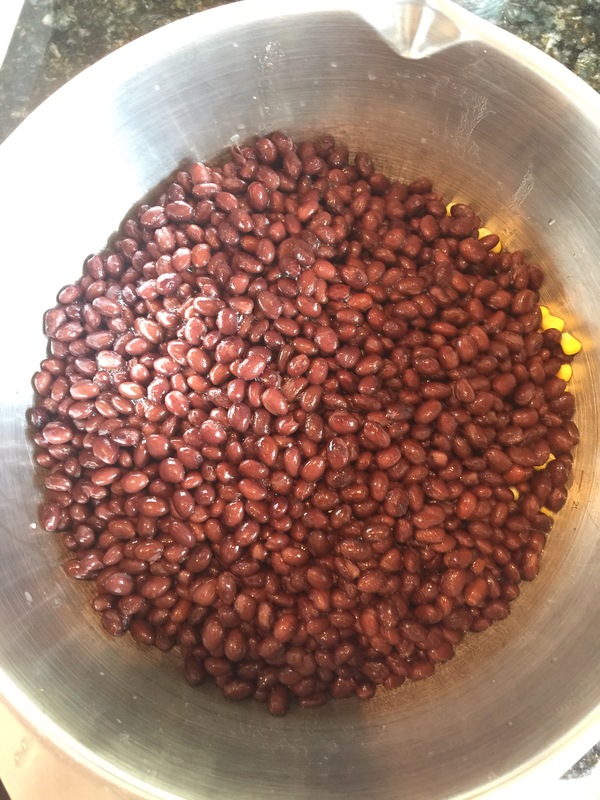 Drain and rinse the remaining three cans of beans and add to the bowl. Peel, rinse and finely chop the two onions. 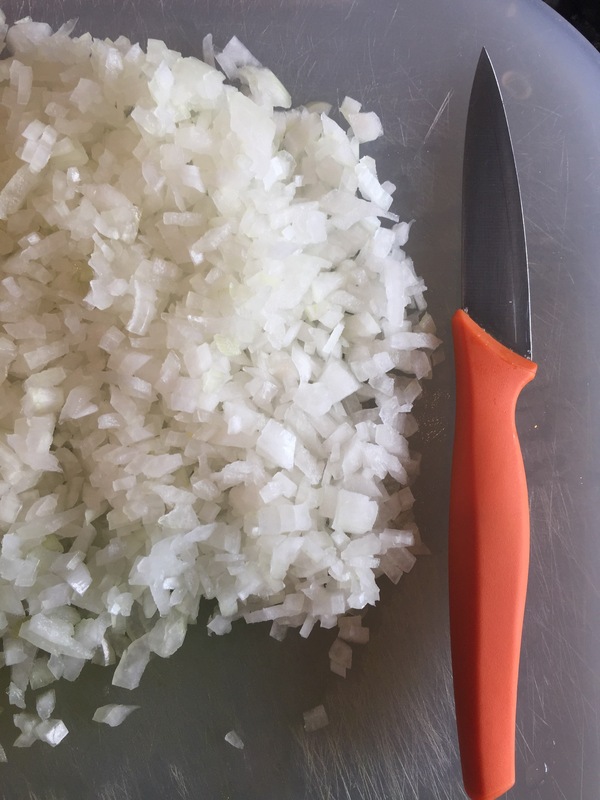 I usually remove and toss the first two thinner outer layers of the onion as they could be a little bitter. 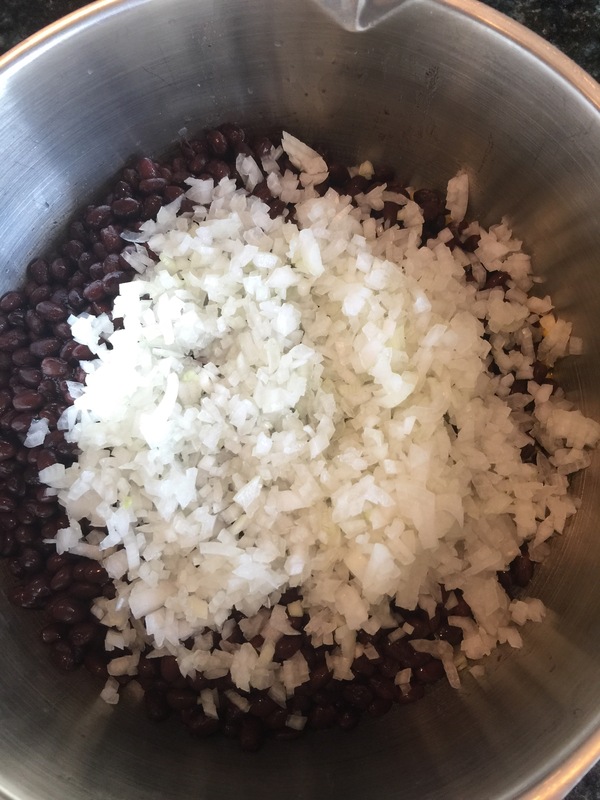 Add the finely chopped onion on top of the black beans in the mixing bowl. 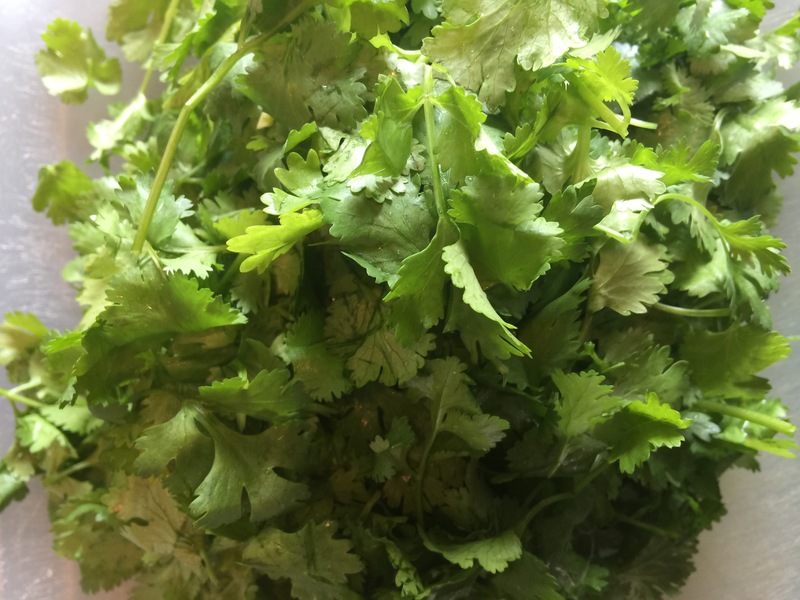 Remove the stems from the cilantro and dry the leaves (using a salad spinner or towels or paper towels). 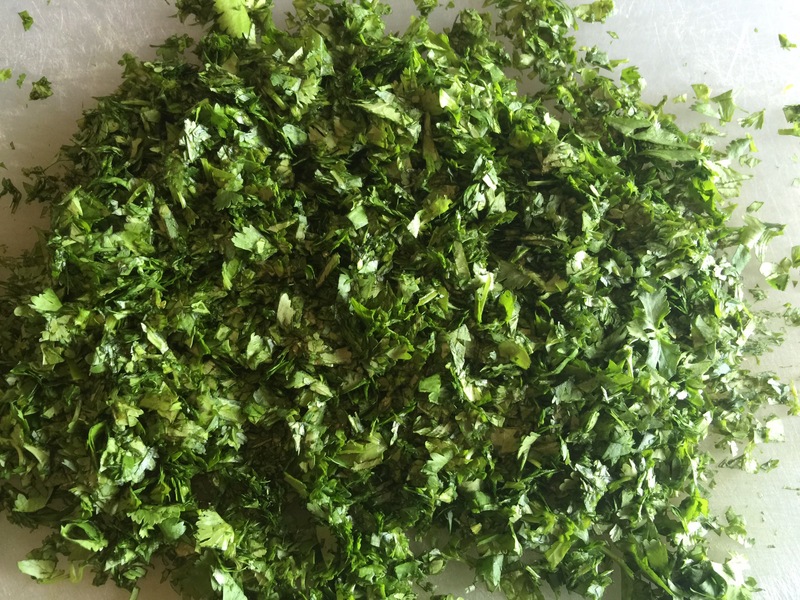 Drying the cilantro is important to ensure bright flavor and avoid watered down, muddled flavors. Place the cilantro on a cutting board and finely chop it. 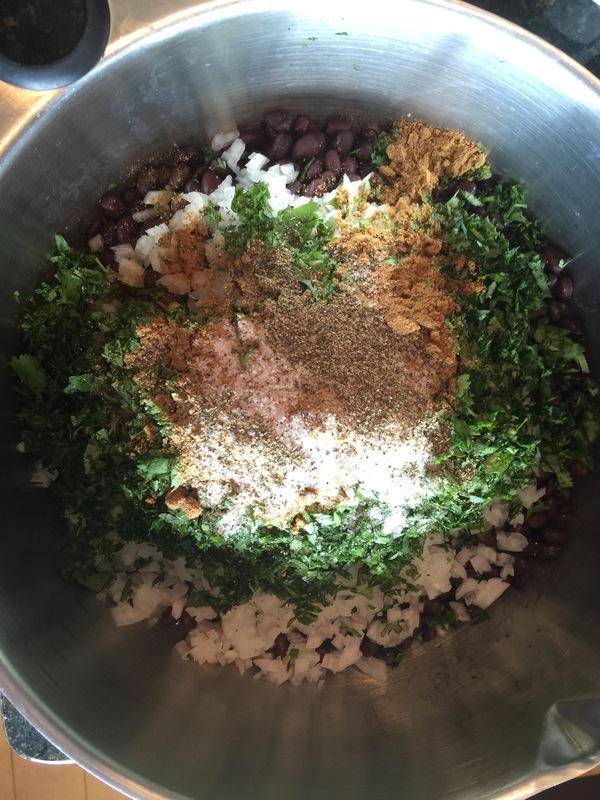 Add the chopped cilantro on top of the onions in the mixing bowl. Add the cumin, salt and pepper to the mixing bowl. Add the olive oil and lemon juice to the mixing bowl. Stir everything up with a long handled spoon and taste test. Adjust salt, pepper, cumin, olive oil or lemon juice according to your personal tastes. I hope you enjoy this recipe as much as my loved ones and I do. My 7-year old daughter Bella wanted me to be sure to tell you all that it is one of her all-time favorite dishes (and she will fight for any leftovers). 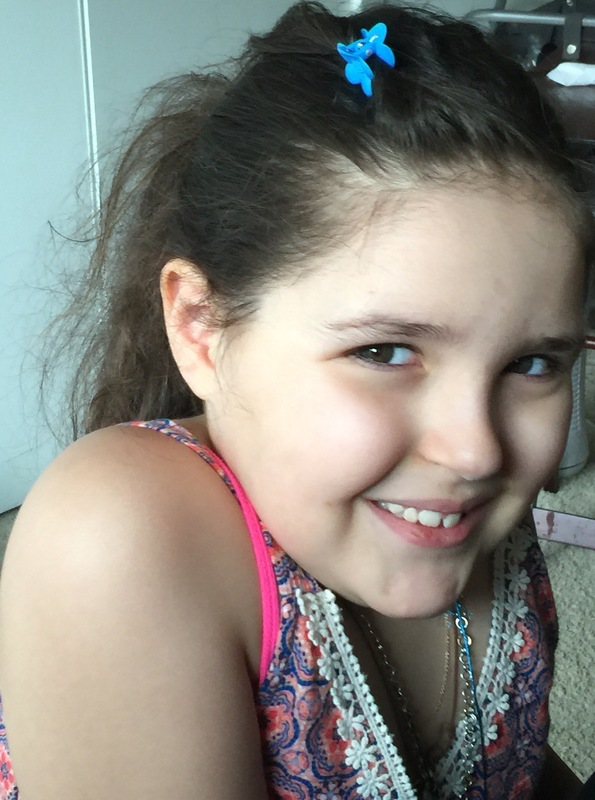 Bella is so pretty….dip looks good too…..smile…..